The existential threat of nuclear waste can NOT be quelled with the promise of a few jobs. 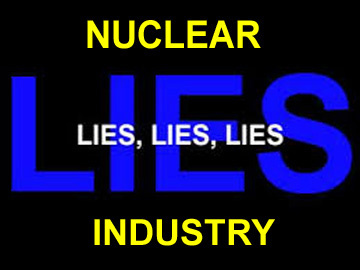 ANSTO is no rainmaker for Hawker, Kimba or any other part of SA they are a cancer. ANSTO has a duty to deal with their waste, and as their name implies it should be done scientifically and not by shifting the waste to a backroom of the country. However this is an industry that has shortcomings worldwide in the R&D arena, with one claim that Consolidated Edison’s of New York only principle innovation after 25 years of operating was to paint their smoke stacks red white and blue.